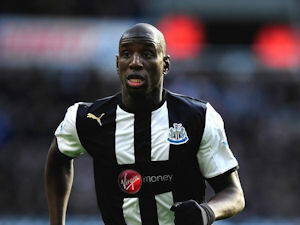 Demba Ba interview | NUFC Blog. Archive for tag: Demba Ba interview. How do Newcastle United fit into the Premier League landscape? And will the City result affect us? Saturday’s defeat was disappointing, although hardly surprising. I’d be very surprised if any team takes points off Manchester City at Eastlands this season. The fact that we only let in one goal in open play, looked fairly solid for the first 40 minutes and even managed to breach their defence with a goal of our own are all plus points. Demba Ba talks about his hat-trick for Newcastle United and how a happy squad is one of the keys to good performances on the pitch. 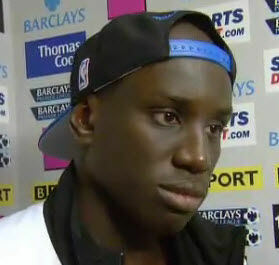 Interviewer: Demba, your first goals for Newcastle and your first Premier League hat-trick – how does that feel? Demba: It was fantastic, scoring a hat-trick here in these conditions and on this stage. It was fantastic. Interviewer: Your team mates all signed the ball for you as well. Demba: Yes, I’m very happy for that. The ball’s going to be home and the whole family is going to look at it and they’re going to be happy because they all came down from Paris to watch the game today, so I think they’ll be happy tonight.